Thank you for your sweet support! 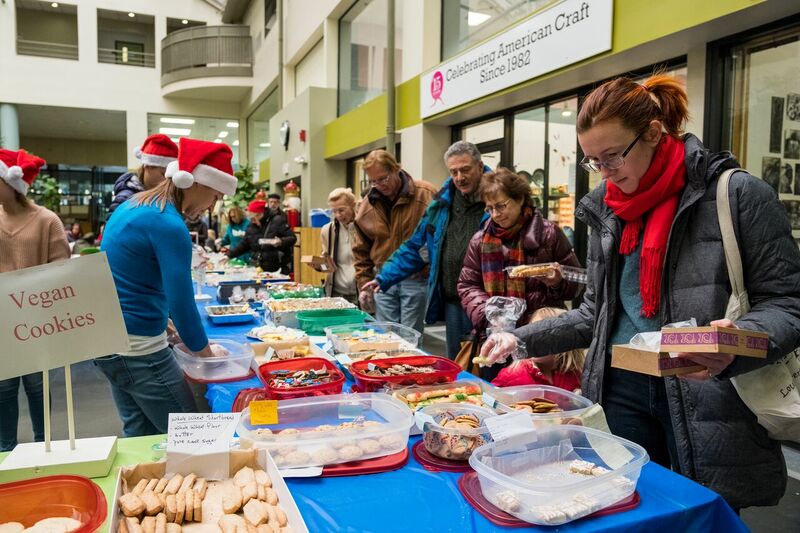 Our 6th annual Cookie Walk was a sweet success thanks to all of our bakers and customers! To all of you who took the time to bake for us… your treats were nothing short of amazing! We were so humbled to have 127 varieties of cookies this year, each one as delicious as the next! Thank you for your generosity in supporting our Walk, especially during this busy time of year. To our customers… nothing made us happier than seeing the line forming well before 11:00 AM of eager cookie shoppers! We hope you enjoyed your selections. Thank you for coming out to see us, and for supporting our work with your purchase. To our volunteer organizers: You are rock stars. You are organized, detail oriented, enthusiastic, and the best Cookie Walk Coordinators we could ask for! From Santa hats to sandwiches for our volunteers, tablecloths to tape, cash boxes to your own cookie contributions, you remember it all and do it so very well!